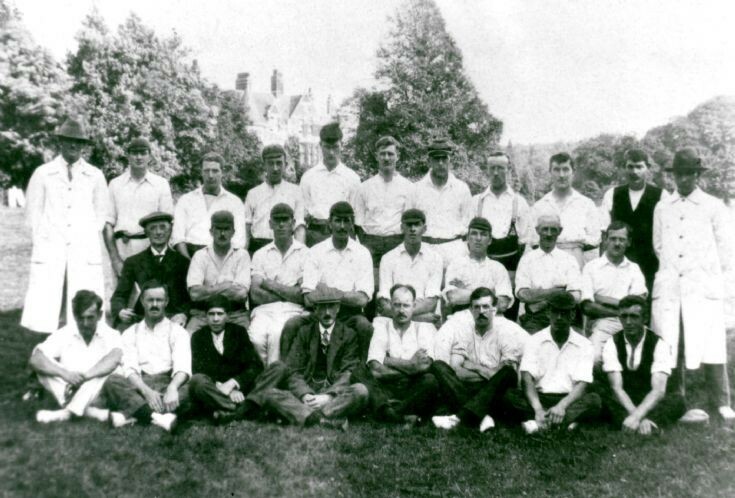 The photograph is of Handcross Park cricket team, and presumable the opposition and supporters. Back row:- Bartlett, Baigent, Sadler, A. Biggs, Fenn, Humphrey, G. Loveland, W. Bailey, Rush, C. Rowland, A. Hygate (?). Middle:- Creasey, Doggett, Jenner, J. Bailey, T. Bailey, Funnell, Cummins, William Biggs. Front:- Rennie, Farrow, Unknown, Weller, Knapp (? ), Ansfield, Powell, Rowsell (?). Still thrilled at these pictures coming to life. Please, does anyone have a photograph of Alfred Ansfield who died in in 1935. He was my father and I have no picture of him.